This page offers a library of Forms, and other information for viewing and download. All content is offered without warranty. Before Cherokee can release information about a Cherokee Loan, or a Cherokee customer, we must have a signed authorization from the Borrower/customer. You can download Cherokee's Authorization to Release Credit Information in Adobe PDF format by clicking here. Before Cherokee can release information about a Cherokee Loan, or a Cherokee customer, we must have a signed authorization from the Borrower/customer. In some instances we may request a NOTARIZED copy of this form, in the interests of protecting the personal information of the one or more of the Borrowers. You can download Cherokee's Notarized Authorization to Release Credit Information in Adobe PDF format by clicking here. If you lost your Coupon Book, or if you have not yet received your new Payment Coupons from Cherokee, you can download a Blank Cherokee Payment Coupon (in Adobe PDF format) by clicking here. Just fill it out and include it with your check or money order. Over time this page will offer an expanding library of Forms for download, including applications, payment coupons, and much more. In order to open documents that have been created in Adobe PDF format, you must have the (free) Adobe Acrobat Reader software installed on your computer. All the download files on this web site, unless otherwise stated, are in a file format called "PDF", also known as Adobe® Acrobat ®. This is like spread sheet files that end in "XLS" if they are Microsoft® Excel® files. So if you wanted to open a XLS spread sheet file, you would need to have the Excel spread sheet software on your computer. It's the same thing with PDF files, you need the correct software to open the files. This software is available free from Adobe, it's manufacturer. However you must download and install it. 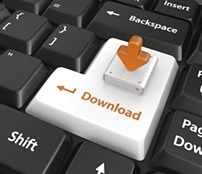 The download is over 8 megabytes, which can take 30-60 minutes if you are using a dial-up connection. Alternately, the software may be available from your System Administrator, or bundled with one of the software programs you already own. If you want to get the free Adobe Acrobat Reader software, you can go to the Adobe web site (below). You will leave the Cherokee Financial web site. After you've downloaded and installed the Acrobat software, and re-started your computer, please return to this web site to get the files you seek. Remember that if you are in an organization with a network or with a System Administrator, make sure to check with them before you install any new software on your computer. Get the free Adobe Acrobat Reader software by clicking here to go to the Adobe web site . Remember to select the correct Windows version you are using, so you get the correct Acrobat version. If you require immediate assistance, please contact us by telephone at (732) 741-2000.